Everyone can use a pretty and unique clock in their home. This easy and fun embroidery project fits the bill! The design pack has 12 different clocks to make including the design shown. 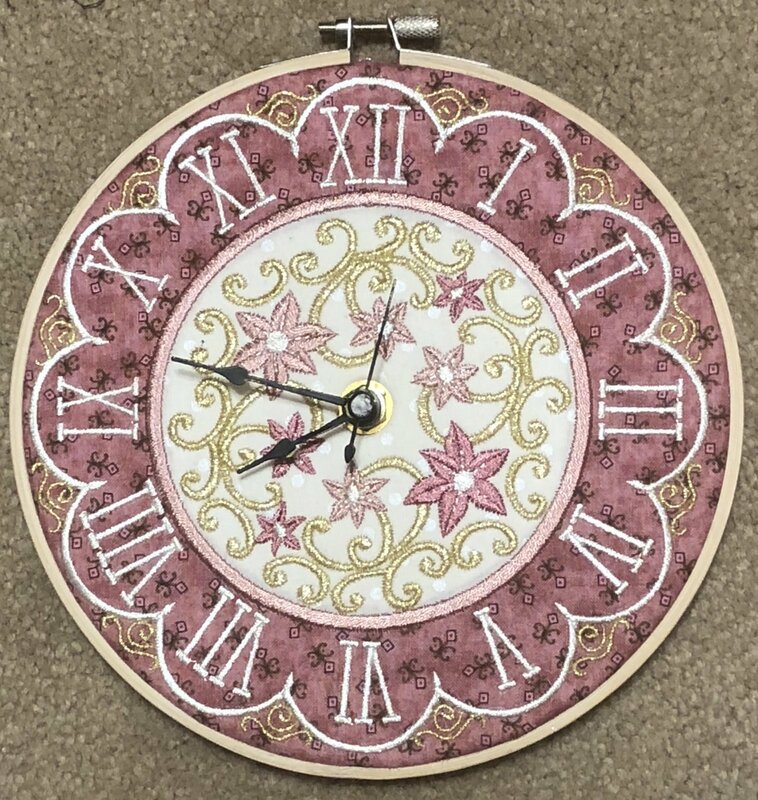 Once the design is stitched out, it is stretched and glued onto an embroidery hoop and the clock mechanism is added. Embroidery machine in good working order and knowledge of how to use the machine.